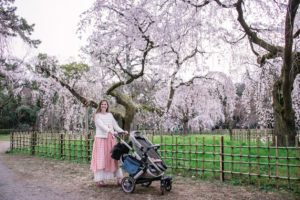 Enjoy Japan with your baby! 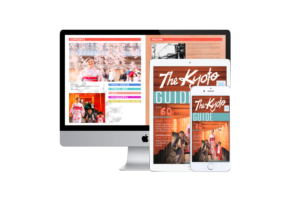 + NEW Kyoto Guide 2019! These are some of the most popular posts on my blog which I provide for all readers. 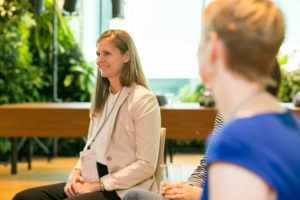 Many of my blog posts are for members only as they are tied into my interactive map, so these are a great way to see inside some of the information and videos that I have been providing since 2012. See my blog page for more! 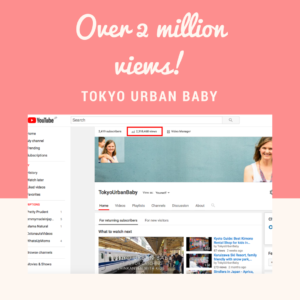 Kate Neath, Tokyo Urban Baby and her Tokyo Guide has been featured in various media including Japan TV NHK World, Lonely Planet Guide Japan, and ELLE Maman Japan! 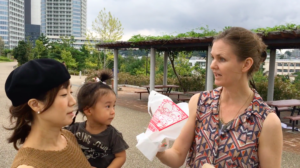 Kate Neath, Reporter for Japan TV NHK World! 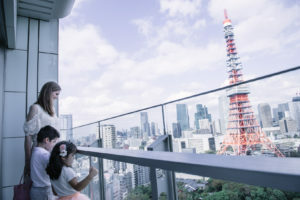 Tokyo Urban Baby was featured in Elle Maman Japan fashion magazine! 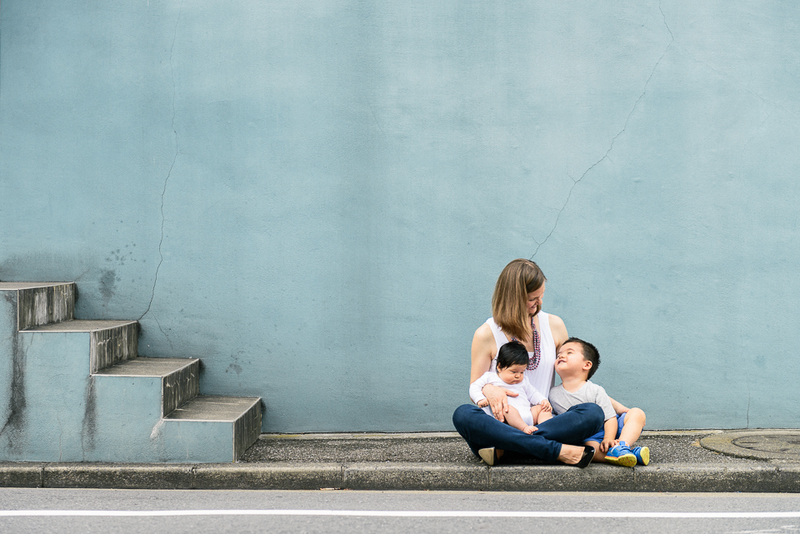 Feedback from mums and dads around the world! 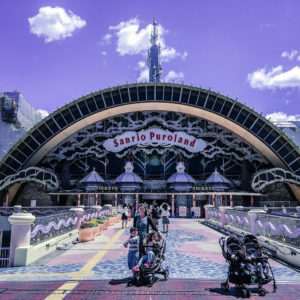 I’ve just returned from a 3 week trip to Japan and I just wanted to say that your guide was terrific! 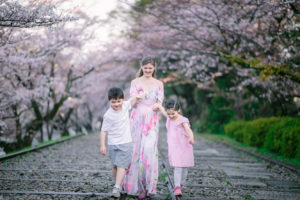 I have visited Japan numerous times before and I lived in Matsue for a year, but we still felt daunted by the prospect of returning for a holiday with two children in tow. (baby 11 months and 4 year old). 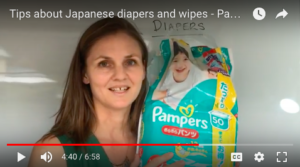 It was great to know that we wouldn’t be scrambling to find baby food (or struggle to read the kanji), change tables, places for a wriggly baby to play. 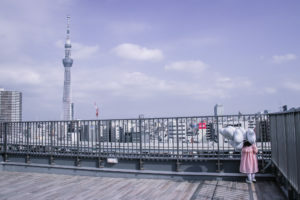 After a hectic day in Harajuku we made our way to the Tokyu Plaza rooftop garden. Perfect for a tired family and a restless baby! 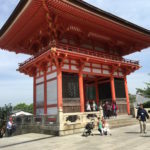 Also loved your advice to visit Kiyomizo-dera in Kyoto. 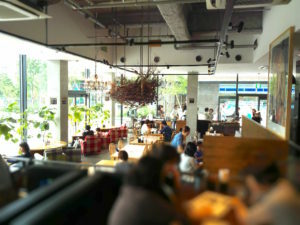 It was such an easy temple to visit with a pram and we also went to your recommended cafe afterwards. I also really appreciated your Instagram updates while we were there – it felt very personal to have a heads up that the kids will need jackets in the next few days because the weather was cold! 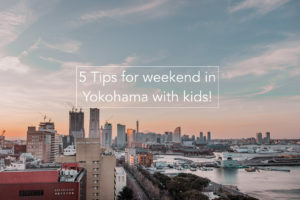 So, thanks for putting all of this together, it’s a great resource and I’ll definitely be recommending to any other parents planning a trip to Japan. I’ve been meaning to email for a while to say thank you for your guide. 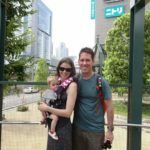 We visited Tokyo in July last year with our then 13 month old daughter, and it was such a huge help. 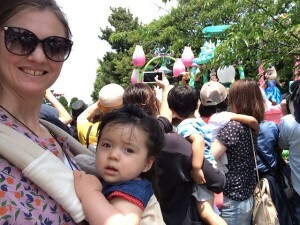 I have previously lived in Saitama, and visited Tokyo numerous times, but it’s very different with a baby! 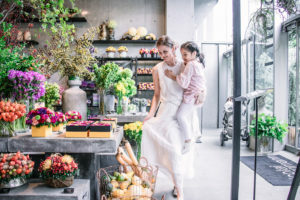 Your guide was a lifesaver when it came to finding indoor play areas due to the hot and humid weather. 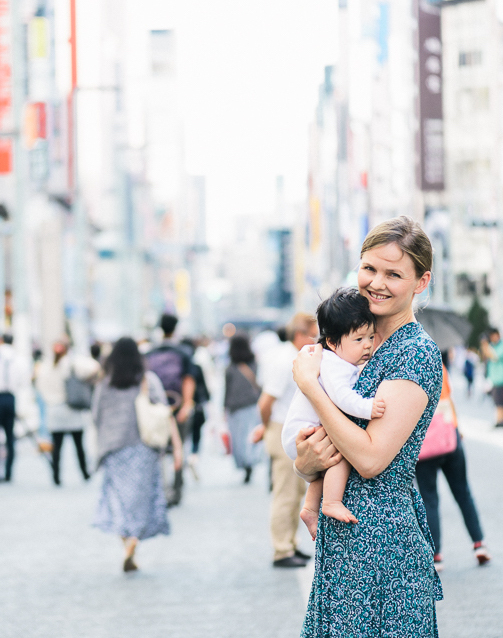 We ended up at the wooden Muji playspace in Shibuya on an almost daily basis, and it was somewhere we never would have found by ourselves. It was really handy being able to have the guide as a PDF on my phone, able to be referred to whenever we ended up in a covered area. 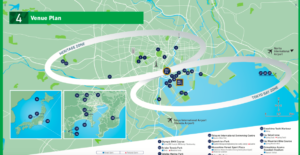 I’m looking forward to using your guide again when we next visit Tokyo, and hopefully taking advantage of more outdoor suggestions! 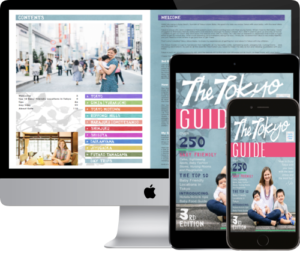 Get the Tokyo Urban Baby guide! This was a life saver while on my first trip with a baby. 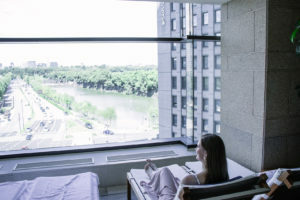 The guide lists everything you will need such as play areas, kids friendly restaurants, sightseeing, stores… and super useful informations such as the locations of the nursing rooms and the elevators. 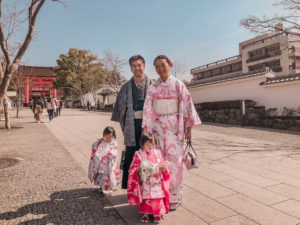 I traveled to Tokyo and Kyoto with my 20month old son in October 2017. Was the best experience ever. 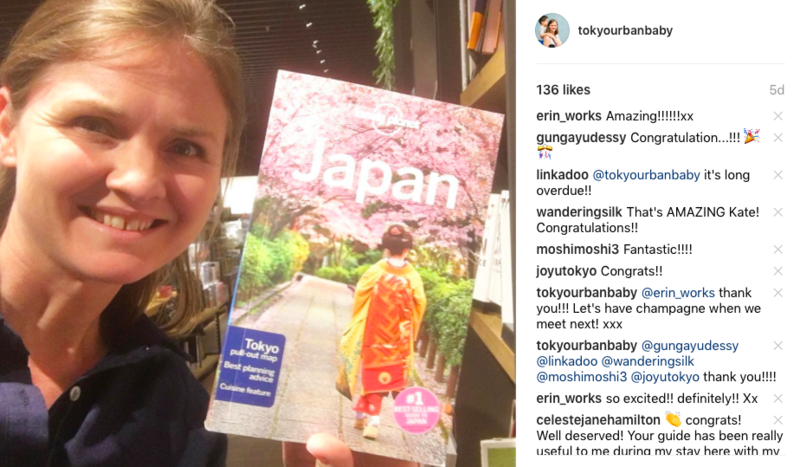 I had read and taken notes on every single piece of your guide – made our stay truly spectacular and I was fascinated with Japan. My son had a wonderful time too. 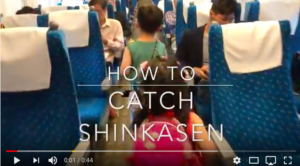 He still remembers many names of stations and, of course, the Shinkansen! We even followed your advise and purchased a toy version at Tokyo Station. Favorite toy by far now! I can’t say enough of all that your guide and tips helped me! My husband was there for work so we moved around almost by ourselves ever day. 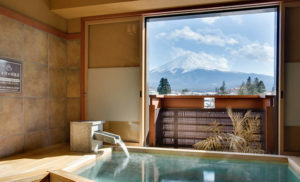 I could take complete profit of every minute thanks to the planning in advance and to having visually and mentally traveled the places before arrival. 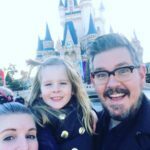 A HUGE thank you to you (and your children!) 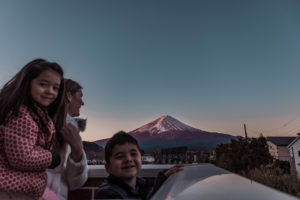 for making Japan the best destination we’ve ever been too. 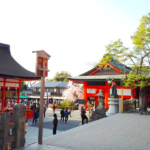 We stayed right next to the Sensoji temple, in Asakusa. 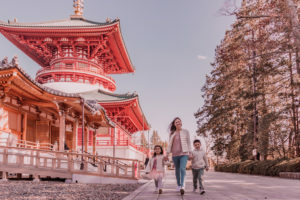 Asakusa isn’t covered by the main body of the guide and so I asked Kate for help – turns out it was covered by a separate guide available online, which was really useful as it provided my wife and I with an overview of the area we would be staying in with tips on baby changing facilities and places to eat! 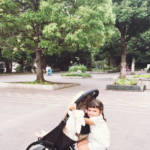 In short it provided us with something as young parents we don’t have when traveling – confidence! 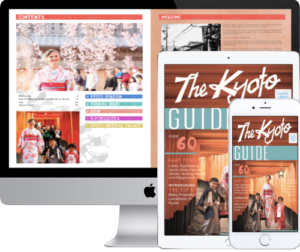 The guide itself is great and really handy in either the word form or on your tablet, we headed over to the imperial place and used the guide to plan our day and find somewhere to stop for lunch. 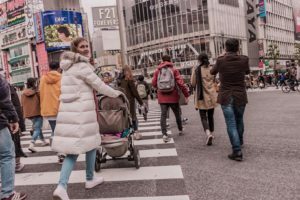 Toyko is an awesome city, with great food and sights but it is a busy city! Our daughter was 6 months old when we visited and so we didn’t have a large amount of time to prep for the trip, hence the guide was a great investment, providing great tips and suggestions. I would really recommend the guide to anyone traveling with kids. 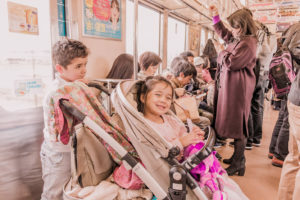 Do you want to enjoy Tokyo and Kyoto with your baby with the least stress and the most fun?